ICT for Education's national regional conference programme visits YORKSHIRE, and will be held on Friday 27 April 2018 at Wetherby Racecourse. The conference runs from 7.45am to 2.15pm. Attendance is FREE for all delegates, and includes lunch and refreshments. Drawing on both regional and national ICT expertise, we have sourced a great line-up of speakers who will address ICT challenges faced by both teachers and schools. Alongside the conference, we will be hosting a vendor exhibition - showcasing solutions to meet your ICT needs. Meet the experts, network with peers, solve practical problems and discover new resources in just one short day - FREE OF CHARGE! Pick up your conference badge(s) from Reception on the day. If you would like to bring colleagues, please ensure they register. Dan, a self-confessed non-specialist, will discuss the journey from teaching ICT to embracing computer science both as a teacher and a subject leader. He will share strategies used to boost subject knowledge and describe how to develop knowledge into ideas and resources that work effectively in the classroom. An independent product review session that will put products to the test and give you real insight into their capabilities. ICT Reviews Live! will be led by the ICT for Education reviews team. Watch the reviews, comment on product content, consider underlying technologies, discuss ease of use and share your opinions on how you would like suppliers to develop products and services to meet the needs of teachers and schools. Paul will present a review of the impact CAS has made on the Yorkshire region over the past three years. He will also provide an overview of unplugged approaches to teaching computing and a speedy introduction to CAS Barefoot Resources for primary schools. Intelligent IT procurement and how not to do it and mess up your IT really badly! Neil will cover mistakes schools often make as well as strategies to get IT right without wasting money. In an entertaining and informative session, Andy will share with you some of the many free and low-cost ICT tools that can enhance your work in the classroom. He will also present new ideas to help you get more for less. With so many tools to help with planning and resourcing, so many ways to help make lessons involving and effective, and so many technologies to foster creativity and love of learning, why is it that there can still be a reluctance to engage with these technologies? Andy will explore some tools for teaching and learning, and some of the ways in which we can promote and support their use in our schools. Dan is the subject leader for Computing at All Saints RC School. He has embraced the huge change from ICT to Computing and won the Enthuse Teaching Award in 2016. Dan is now supporting colleagues across the region going through the same difficult process through the CPD event teach-meet. He is passionate about the impact technology can have on young people and has worked in York schools for the past 12 years. Miles is principal lecturer in Computing Education at the University of Roehampton. Prior to joining Roehampton, he spent 18 years in four schools, much of the time as an ICT coordinator and most recently as a headteacher. His research interests include the pedagogies of computer science education and informal learning. He is a former chair of Naace and continues to serve on its board of management. He is also a member of the management board of Computing At School (CAS) and the UK Forum for Computing Education. He is a fellow of the BCS, RSA and HEA. Over the years, Miles has contributed to a number of computing related projects including: CAS's computer science curriculum, the national curriculum computing programmes of study, the CAS/Naace guide to the computing curriculum for primary teachers, training of CAS Master Teachers, the Bett award winning Rising Stars Switched on Computing, Barefoot Computing, Code Club Pro's training materials and QuickStart Computing. Neil Watkins is managing director of Think IT, the DfE recommended procurement framework for IT in education. Before Think IT, Neil was the programme manager for the Every Child Matters Programme within the DfE. He is a passionate believer in technology helping to improve teaching and learning outcomes, and has worked with hundreds of schools, multi-academy trusts, local authorities and colleges across the country. Paul is a qualified primary school teacher currently employed as Computing At School regional coordinator for Yorkshire and Humber. He is based at the University of York, where he was once a student, and the National STEM Centre. He is passionate about supporting primary teachers in delivering the computing curriculum and maintaining the CAS Network of Excellence across the region. While focussing on primary education, Paul is also engaged with a pilot scheme to develop female GCSE computing teachers. He continues to develop teaching resources for primary teachers as well as attending staff meetings in schools to audit teacher confidence. Please contact Paul at casyork@computingatschool.org.uk if your school is interested in engaging with this support. 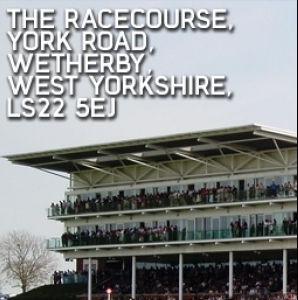 Wetherby Racecourse & Conference Centre is located just minutes from Junction 46 (Wetherby Services) on the A1(M). Our postcode for your Sat Nav is LS22 5EJ. The Racecourse offers acres of FREE public car-parking. In order to gain access to the event we need to be able to share your email with the exhibitors, please tick this box to confirm acceptance. We would also like your permission to send you details of the event and future events please tick this box to confirm acceptance. ICT for Education undertake to apply appropriate technical and organisational measures against unauthorised or unlawful processing of personal data and against accidental loss or destruction of, or damage to, personal data. ICT for Education send out regular, informative emails to our client base. These include product updates, case studies and items that are of interest in our industry. When I was a deputy, I can remember sitting down with the headteacher to begin the sifting process for a teaching position that had been advertised for our school. We had over 200 applications. The Primary Head writes in Teachwire.